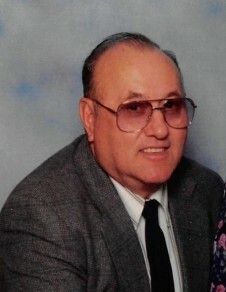 Wendell Hagan Calhoun, 88, of Letcher passed away Tuesday, January 29, 2019 at the Greg and Noreen Wells Hospice Care Center in Hazard, Kentucky. Wendell was the son of the late Denver and Malona Reynolds Calhoun. Surviving is his wife: Doreen Calhoun; 2 sons: Doug (Barbara) Calhoun of Hazard and Tim (Jennifer) Blair of Brandenburg; 3 daughters: Susan (Ronald) Ison of Jeremiah, Tammy (Jim) Suggs of Sophia, North Carolina, and Regina (Ernie) Brown of Blackey; 1 brother: Loren Calhoun of Florida; son-in-law: Stan Lowe; 13 grandchildren: Chris Ison, Jason Ison, Corey Ison, Jacob Calhoun, Josh Calhoun, Graham Suggs, Tommy Suggs, Joel Suggs, Elizabeth Lowe, Anna Lucas, Bethany Blair, Brady Blair, and Bailey Blair; 14 great grandchildren: Faith Nelson, Evan Ison, Ollie Ison, Emma Ison, Leah Ison, Hanna Ison, Christian Ison, Kennedy Calhoun, Judah Calhoun, Jonah Calhoun, Naomi Suggs, Amelia Suggs, Isaiah Suggs, and Ryan Suggs; 1 great great grandchild: Juno Nelson. Wendell was preceded in death by his 1st wife: Orpha Calhoun; 2 daughters: Debbie Lowe and Melanie Blair; 3 brothers: Arnold Calhoun, Ralph Calhoun, and Lawrence "Bo" Calhoun; 2 sisters: Gloria Hicks and Grace Ryan. Funeral: 2:00 O'clock P.M. Friday, February 1, 2019 at the Jeremiah Missionary Baptist Church with Ricky Smith, Randall Short, and Caleb Combs officiating. Visitation: 6:00 P.M. Thursday at the Jeremiah Missionary Baptist Church. Burial will follow in the Green Gayheart Cemetery at Hindman, Kentucky.